Get your geek on! 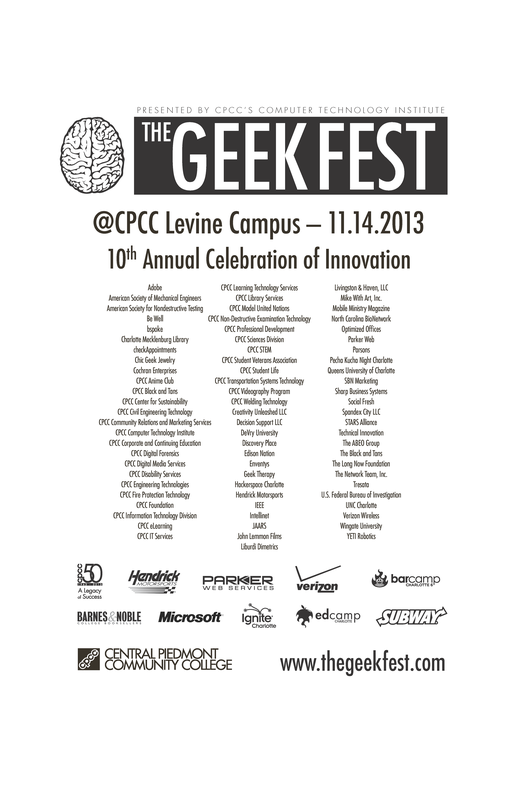 CPCC’s 9th annual celebration of innovation and technology, THE Geek Fest, is Thursday, Nov. 15, at the Levine Campus. For one day (9 a.m. to 5:30 p.m.), the campus will be immersed in hands-on activities, contributor displays and conference-style topic sessions. 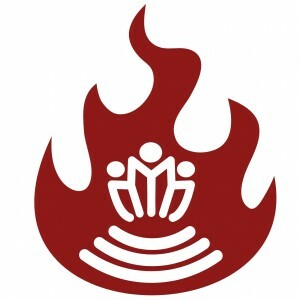 THE Geek Fest is an outstanding hands-on learning and networking opportunity for geeks and innovators at all levels. 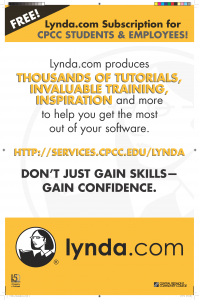 Best of all, it’s open to the community and completely free! 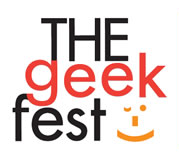 If you would like to contribute, sponsor, volunteer, or be a guest speaker during TGF2012, please visit http://www.cpcc.edu/thegeekfest/contribute/application. 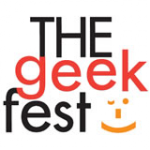 For more event information, please visit http://www.thegeekfest.com. 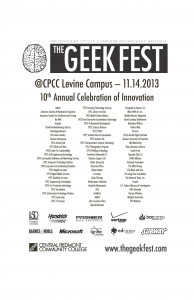 If you have any questions, please email geekfest@cpcc.edu.